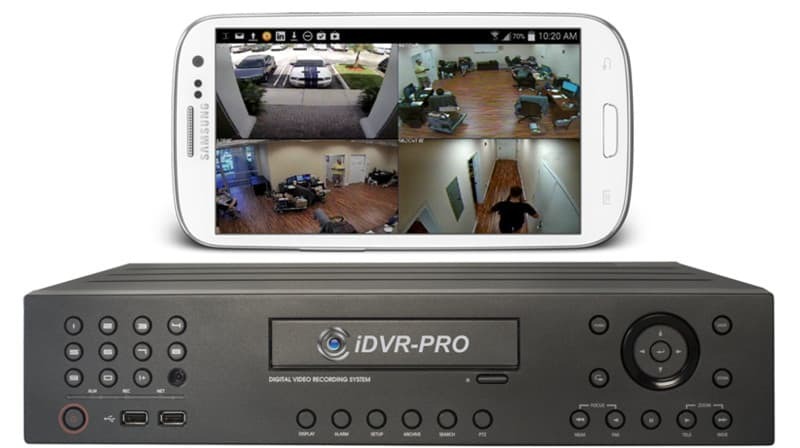 The iDVR-PRO16H is an 16 channel CCTV camera DVR with outstanding remote monitoring support for iPhone, iPad, Android mobile, Windows and Mac computers. This is a hybrid CCTV / HD security camera DVR which means that it works with traditional CCTV cameras (D1 resolution), AHD CCTV cameras, HD-TVI cameras, and wide format 960H CCTV cameras, All channels of this DVR use BNC video connectors and can easily be configured for any of these cameras types. 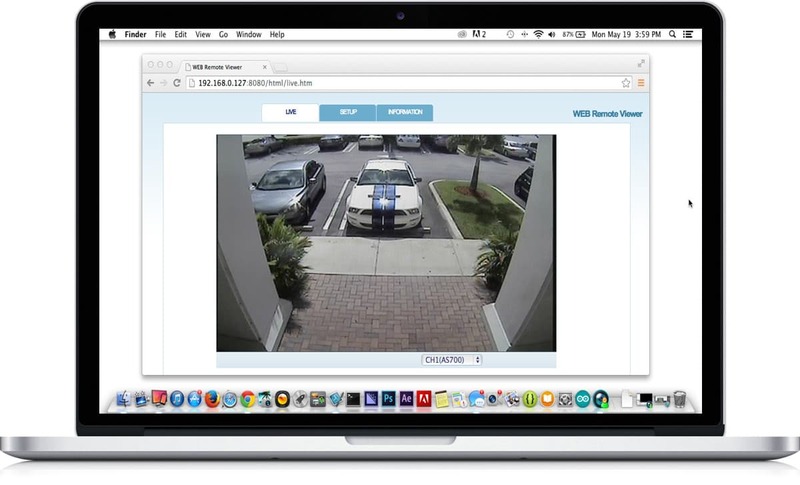 You can learn more about this hybrid DVR technology here. The iDVR-PRO16H is capable of recording on all sixteen camera channels at 30 frames per second at full 960H, D1, 720P, or 1080P resolution. In the video surveillance industry, 30 frames per seconds is sometimes referred to as real time recording. The iDVR-PRO16H DVR supports recording at 480 FPS total (which is 30 FPS x 16 cameras). The iDVR-PRO16H uses a Linux embedded operating system and is considered a "stand alone" CCTV DVR. 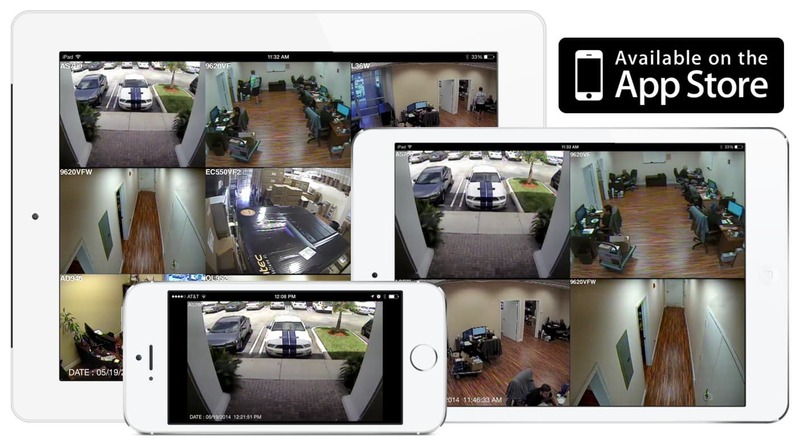 iDVR-PRO surveillance DVRs include some of the best mobile apps for remote viewing from iPhone, iPad, and Android mobile devices. The web browser and software applications for Windows and Macintosh computers is also some of the best that we have tested. All iDVR-PROs included a mouse and wireless IR remote control that is used to access and control the intuitive and easy to use user interface. The iDVR-PRO "H" series DVRs use the exact same software interface and client applications as the "A" series and "M" series. The main differences with the "H" series is the ability to add a DVD burner, 5 hard drive bays, one audio surveillance input per camera input, additional BNC spot monitor outputs (2 spot outputs for this 16 channel model), 16 alarm inputs, 8 relay outputs, and 8 digital alarm outputs. Spot monitor outputs are commonly used in retail stores to display live camera views at entrances so store customers are aware that the store is monitored by video surveillance. 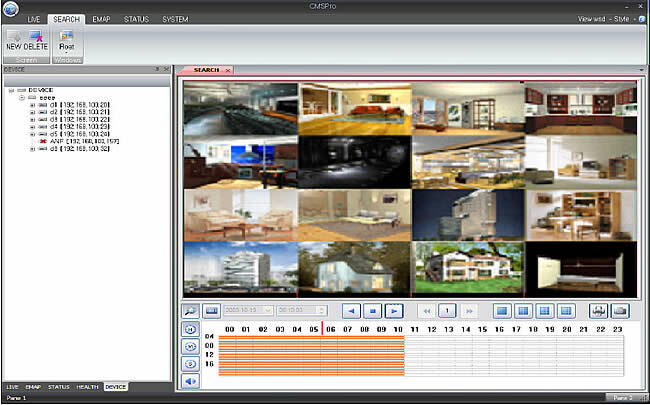 The spot outputs can be configured to display a grid of 4 cameras each or a single camera view that scrolls between all camera views. Learn more about the iDVR-PRO16H spot monitor functionality here. Did you know? 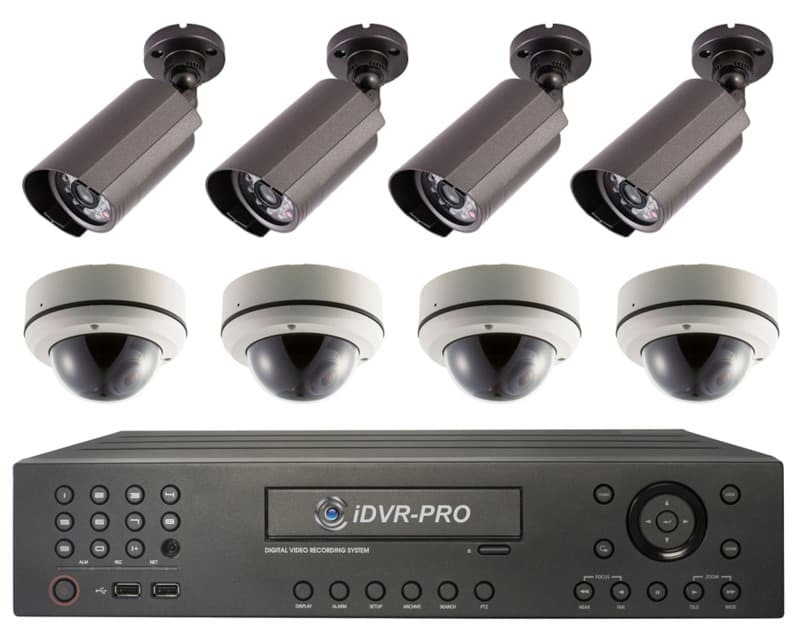 CCTV Camera Pros can provide a complete CCTV system quote that includes an iDVR-PRO surveillance DVR, any number of cameras, cables, connectors, power supplies, and monitors? As you have probably already seen on our website, we have 2, 4, 8, and 16 camera surveillance systems in pre-made packages. However, it is not possible for us to package up every combination and quantity of all the different camera models that we carry. So, we can also provide you with a custom quote with as many cameras as you need and a mix of any combination of camera model(s) based on your project requirements. The iDVR-PRO16H is an SD / HD hybrid DVR that works with analog CCTV, AHD, and HD-TVI cameras. This means that traditional analog CCTV cameras and the latest high definition security cameras can be used. All video surveillance resolutions up to full 1080p are supported. Would you like to demo an iDVR-PRO before you decide to purchase one? CCTV Camera Pros has a demo video surveillance system setup at our office using an iDVR-PRO and a variety of CCTV cameras that we supply. We will supply you with login information and instructions so that you can see what the user experience is like when you remotely access an iDVR-PRO from Mac, Windows, iPhone, iPad, and Android devices. If you need support along the way, we will provide you with help. NOTE: The video conversion to YouTube degrades the quality of the video. 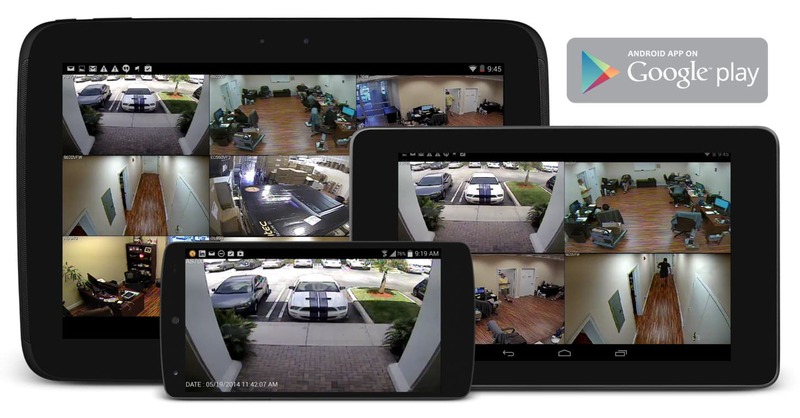 Actual surveillance video viewed on an Android device is better than what is seen above. Be sure to select 1080p video during playback in the YouTube player.